Some you may remember the famous "Where's Waldo?" books and games. 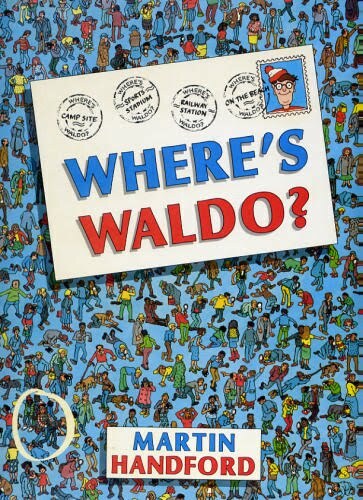 The goal of finding Waldo in a sea of people or things required an "I Spy" type of skill. A similar challenge is held in the Weatherford household every evening. At bedtime, Cameron has to find where Elmo is hiding. As you can imagine, we find Elmo hiding everywhere...he's been kn own to hang out in bathtub, behind curtains, under covers, even up on the ceiling! One night, Elmo was perched on top of the bathroom door. When Cam went on his search and pushed open the door, who came cr ashing down? Cam giggles in anticipation of the Elmo search...while looking in each area he answers yes or no if he sees Elmo. Of course, when he does finally find Elmo, he practically squeals! The video below doesn't begin to depict how loud and vocal he's been at times...enjoy.